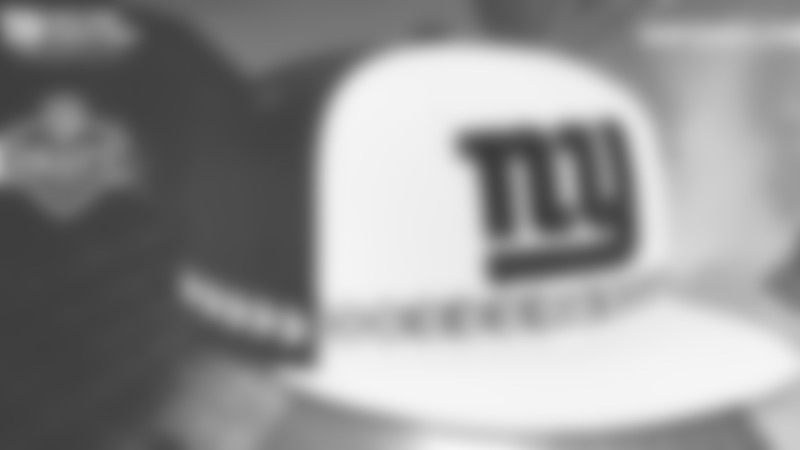 - Originally a 2nd round (40th pick overall) draft choice by the Giants in 2016. - Shepard has played in 27 regular-season games with 26 starts, and he started the only postseason game in which he played…Career totals include 124 catches for 1,414 yards (11.4-yard avg. ), and 10 touchdowns...Also has 7 rushing attempts for 35 yards. - In 2017, Shepard played in 11 games with 10 starts…Led the Giants’ wide receivers with 59 catches for a team-high 731 yards…Scored 2 touchdowns…Missed 2 games with an ankle injury, 2 with an illness, and the season finale with a neck injury. - Shepard twice set his career high with 11 receptions and had the Giants’ only three 100-yard receiving games of the season…Had 11 catches for a career-high 142 yards at San Francisco (11/12) and 11 receptions for 139 yards vs. Philadelphia (12/17)…Shepard’s 11-catch game vs. the 49ers was the first by a Giants player since Odell Beckham, Jr. had 11 at Philadelphia on Dec. 22, 2016. Shepard also caught 7 passes for 133 yards at Philadelphia on Sept. 24. He has 4 career 100-yard games. - Shepard scored both of his touchdowns on long catch-and-runs vs. Philadelphia: a career-long 77-yard reception in Lincoln Financial Field (9/24), and a 67-yarder in MetLife Stadium on Dec. 17.  - Caught 5 passes for 54 yards at Tampa Bay (10/1), the only game in his career in which he played but did not start. - As a rookie in 2016, Shepard started all 16 regular-season games and the NFC Wild Card Game…It was the 2nd consecutive season the Giants’ 2nd-round draft choice started every game; safety Landon Collins did it in 2015 (defensive tackle Dalvin Tomlinson made it 3 in a row in 2017)…Shepard was the Giants’ first offensive rookie to start every game of his rookie season since Justin Pugh started every game at right tackle in 2013…He was the first rookie wide receiver to start every game for the Giants since Bobby Johnson in 1984, and the first in the NFL since Buffalo’s Sammy Watkins in 2014. - Shepard finished 2nd on the team with 65 catches for 683 yards and 8 touchdowns…Caught at least 2 passes in every game except the victory at Cleveland (11/27), where he did not have a reception…Shepard placed 2nd among NFL rookies in all 3 major statistical categories, trailing only New Orleans’ Michael Thomas, who had 92 catches for 1,137 yards and 9 scores. - Shepard caught 3 passes for 43 yards, including a 9-yard touchdown, in his NFL debut at Dallas (9/11)…He was the first Giants player to catch a touchdown pass in his first game since Beckham on Oct. 5, 2014. - Shepard had season-high totals of 8 receptions for 117 yards vs. New Orleans (9/18), and followed with 5 catches for 73 yards and a 23-yard touchdown vs. Washington (9/25)… His 16 receptions are a record for a Giants rookie in his first 3 games. Johnson held the former mark with 15 in 1984. - Shepard was the first player in Giants history to score a touchdown and have more than 100 receiving yards in a game in his first 3 NFL games, and was the first NFL player to do it since Pittsburgh’s Martavis Bryant in 2014. - Also set the 4-game record when he had 4 receptions for 30 yards at Minnesota (10/3)…His 20 catches through the first 4 games topped Beckham’s previous mark of 18. - In a 27-23 victory vs. Philadelphia (11/6), Shepard caught 3 passes for 50 yards, including a 32-yard touchdown, and rookie free agent Roger Lewis, Jr. had a 30-yard touchdown reception. It was the first time the Giants had 2 rookie wide receivers with touchdown catches in the same game since Oct. 5, 1987 when Lewis Bennett and Reggie McGowan accomplished the feat in a strike replacement game vs. San Francisco. Excluding replacement games, it had last happened on Dec. 12, 1954, when Ken MacAfee and Bob Topp did it at Philadelphia. - With Victor Cruz sidelined with an ankle injury, the Giants started rookie wide receivers Shepard and Lewis in a Monday night game vs. Cincinnati (11/14)…They were the first pair of rookie wideouts to start for the Giants since Dec. 15, 1984, when Bobby Johnson and Lionel Manuel started the regular-season finale vs. New Orleans. Manuel caught 2 passes for 26 yards, while Johnson had 1 catch for 9 yards. - Shepard had 4 receptions for 56 yards and a 6-yard touchdown vs. Detroit (12/18), and 7 catches for 61 yards and his 8th score of the season on a 13-yard pass at Philadelphia (12/22)…Had 4 catches for 63 yards in his postseason debut in the NFC Wild Card Game at Green Bay (1/8). - In 4 seasons at Oklahoma, Shepard played in 50 games with 41 starts…Started all 37 games in his final 3 seasons… Career totals included 233 receptions for 3,482 yards (14.9-yard avg.) and 26 touchdowns, with a long catch of 75 yards…Also returned 30 punts for a 7.3 yard average with a long runback of 27 yards…His career receptions (233) and receiving yards (3,482) each rank 2nd in Oklahoma history...Ranks 3rd in school history in career touchdown receptions (26) and 100-yard receiving games (12)…Ranks 3rd in OU history in single-season receptions (86 as a senior)…Shares the school record for single-game receptions (15 vs. Kansas State as a junior). - As a senior in 2015, he was a semifinalist for Biletnikoff Award, given to the nation’s top wide receiver...Named to All-Big 12 first team by the league’s coaches, and 2nd team by AP...Started all 13 games at receiver and also served as team’s primary punt returner...Caught a career-high 86 passes for 1,288 yards (15.0-yard avg.) and 11 touchdowns, with a long catch of 74 yards…Also returned 30 punts for 148 yards, a 7.9-yard average, with a long of 27 yards…As a junior in 2014, was named to All-Big 12 first team by league’s coaches and All-Big 12 2nd team by AP…Semifinalist for Biletnikoff Award...Started all 12 games and finished season with 51 receptions for 970 yards and 5 touchdowns, with a long catch of 75 yards…Also returned 11 punts for 73 yards (6.6-yard avg. )…Tied school record with 15 receptions and tallied 197 receiving yards and a touchdown vs. Kansas State (10/18)...In 2013, started all 12 games in which he played…Did not play vs. Iowa State (11/16) due to injury...Concluded the season with 51 catches for 603 yards and 7 touchdowns with a long reception of 57 yards…As a freshman in 2012, he played in all 13 games with 4 starts...His 621 receiving yards were the 3rd-highest total by an Oklahoma freshman, while his 45 receptions ranked 4th all-time among the school’s freshmen. - Co-hosted the fourth annual Children of the City Charity Bowl at Lucky Strikes Bowling in Manhattan…Served as a Play 60 Ambassador adopting Garfield Middle School in Garfield, N.J. motivating the students every week for a month to get active and play outside. - Married to model Chanel Iman…Parents are Cheri and the late Derrick Shepard...At Oklahoma, he wore the same jersey number (3) as his late father, who lettered at OU as wide receiver from 1983-86...Graduated with degree in Arts & Sciences Planned Program...Named to Academic All-Big 12 first team as a senior…Rushed for 1,115 yards and caught 133 passes for 2,335 yards and 38 touchdowns in his career at Heritage Hall High School…Finished with 5,148 career all-purpose yards…As a senior, carried the ball 28 times for 303 yards and 8 touchdowns, and caught 73 passes for 1,243 yards and 17 touchdowns…Selected to the Under Armour All-American Game.